This got me thinking. I’ve been learning about and focusing on tension lately. I think that a good way to end a chapter is by ending it with tension. You could do this a number of ways. You could end it with a big cliff hanger. Or you could go smaller, more subtle. However you do it, that last paragraph, especially that last line should intrigue the reader. There should be something to it that either screams or hints that there’s more to come. It has to make them wonder. It has to make them need to know what happens next. That’s my opinion on how to end a chapter. I’ve talked before about how it’s important that you complete more than one draft. I just finished up a short story that I have for the upcoming The Z Chronicles, and learned this lesson all over again. I thought that I had a good story that would only need minor tweaking. I was wrong. Turns out, all I have is bones. There were a lot of things that needed to be changed. Sometimes in story telling it’s essential that you tell things out of order. Maybe you’re writing a time travel story, or a murder mystery, or you’ve got some sort of Memento thing going on. Whatever your reasoning for having a non-linear story line, you still need to know what happened, when. 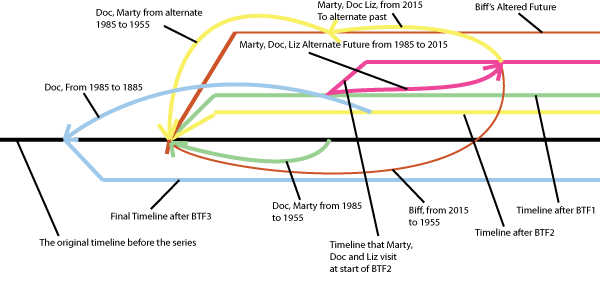 Having a time line for any story, especially a non-linear one, helps insure that there won’t be any confusion, that the story is consistent, and there’s an easy thing to reference when needed. At the beginning of this year, I set out to give publishing my all. I tested the waters last year with my flash fiction collection, but this year I wanted to go full force. What this meant was putting together a publication schedule. The photo above is my publication schedule for my upcoming short story series – Sleep Saga. It took some effort, but I worked with the dates to figure out how to stagger it so that I could get it done. I’ll admit, I’m about four days late on getting my first story out to Beta readers. (By the way, want to Beta Read for me? Email me). But I’m ahead on finishing the first drafts of my books. So, I’ll call it even. Writing it down gave me solid deadlines and a great guide for where I was and where I needed to be. It also allowed me to prioritize, creating a list so that I knew what I needed to be doing while I different parts were in different stages. I think that being organized and setting goals will help me achieve a lot this year.